What with the use and prevalence of the Internet in almost every aspect of campus life, students are no strangers to information overload. You may think, in fact, that you can get everything you need via Google. But one resource invaluable to your success in college that you may be overlooking? The school library. Across all four CBT locations, the library is home to more than 5,000 resources such as textbooks, magazines, CDs, DVDs, and more. It also offers access to a huge network of online data, partly through the virtual Library LIRN (Library and Information Resource Network). 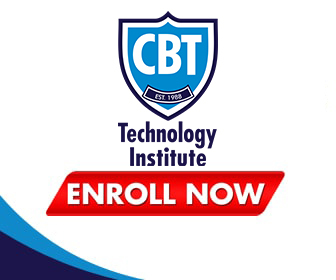 The CBT library’s main goal is to round up and dispense reliable, accurate information that’s relevant to all school-offered courses. The research needed for a midterm essay? They can track that. Computer and technology instruction? No worries. Study aids for the college’s toughest classes? Got ‘em—and a whole lot more.